The event is over! The winners have been picked and notified. Phew. I will be doing a few wrap-up posts over the next couple of days. But as the end of our rafflecopter approaches, I just wanted to take another moment to thank our sponsors and the bloggers. Stay tuned for prize announcements. And I know that there are a few extra posts and bonus giveaways planned. So, check back. 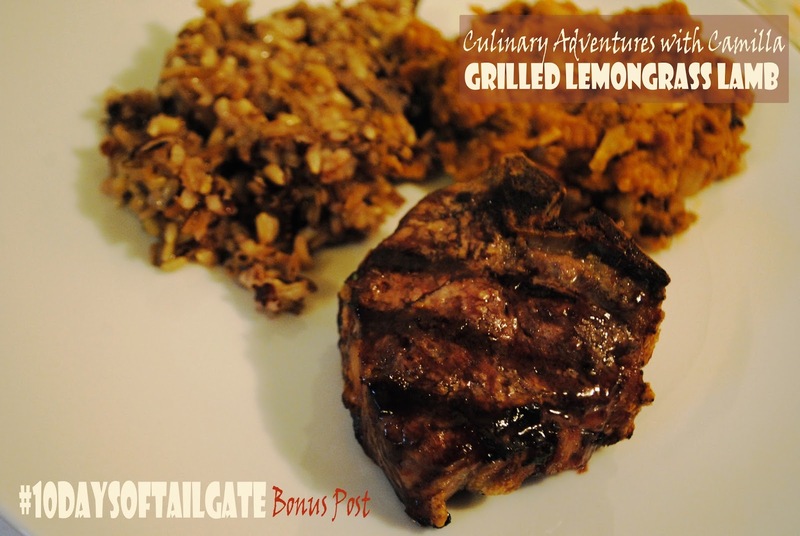 On this final day of #10DaysofTailgate, I decided to do a double-post to squeeze in just one more recipe with a thank you for another sponsor Mr. Bar-B-Q*. 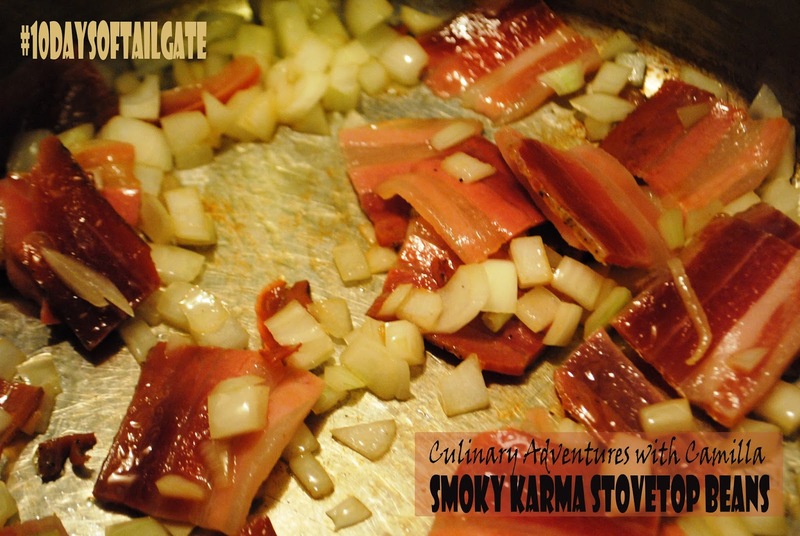 I was trying to create a good recipe to highlight their stainless steel mesh grill skillet...and I finally did it. Eureka! Dear readers, enter the giveaway (below) to see if you can win a grill skillet, a grill cover with the collegiate team logo of your choosing, and a propane tank refill. 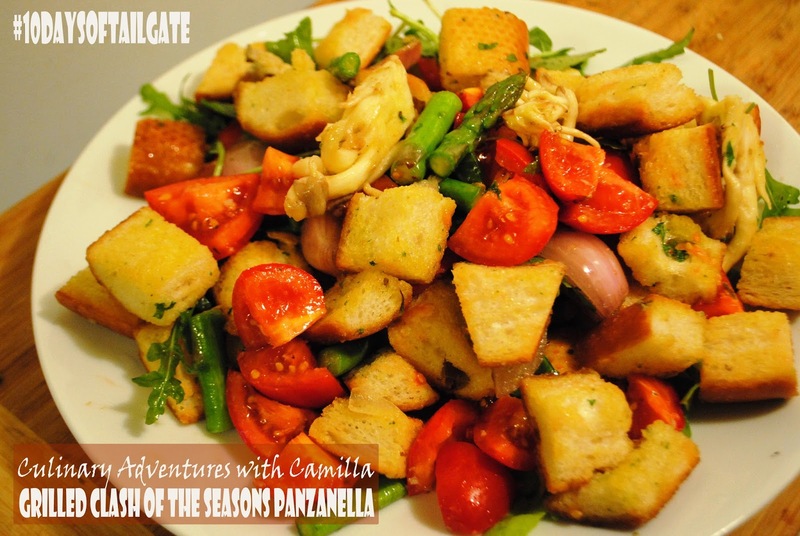 Panzanella is a Tuscan salad that I normally make during the summertime, showcasing sweet tomatoes from friends' gardens and our High Ground Organics CSA. I had seen 'grilled panzanella' on a menu somewhere and decided to create my own version with some late summer tomatoes and early autumn oyster mushrooms. Hence the 'clash of the seasons.' Summer produce collides with Autumn. 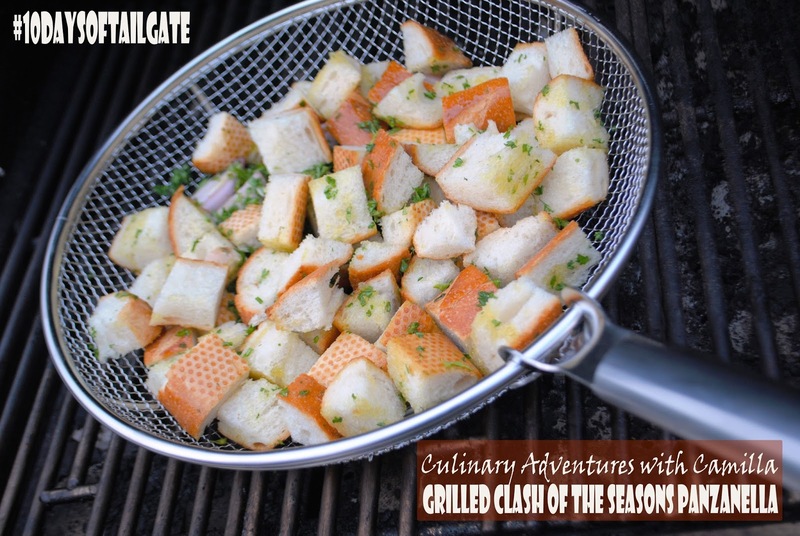 The grill skillet allowed me to toast the bread cubes over a grill and add some amazing smoky flavor without mangling my bread cubes on skewers or losing them between the grill slats. 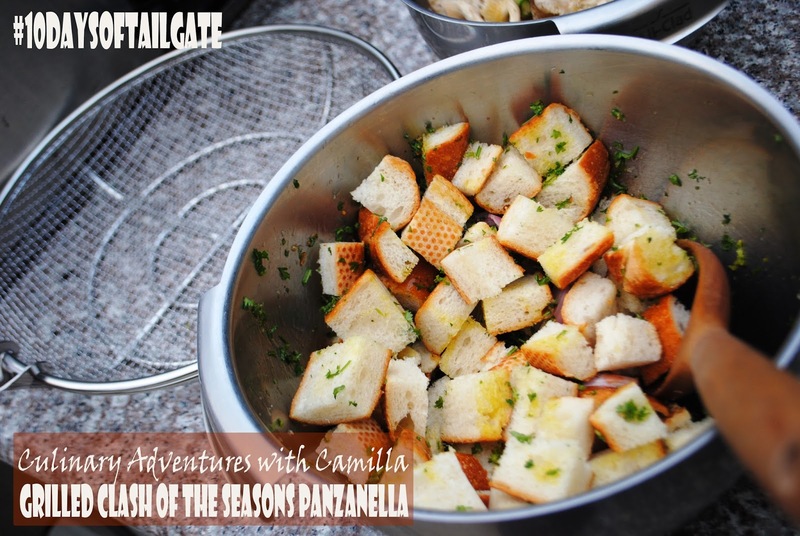 In a large mixing bowl, toss the bread cubes, shallots, and parsley with salt and olive oil. In another mixing bowl, toss the oyster mushrooms and asparagus with salt and olive oil. In your grill pan or skillet, grill the bread till it's nicely toasted. Remove the bread to a mixing bowl. Spoon the mushrooms and asparagus into the skillet and grill till slightly softened. Spoon that mixture into the same bowl as the bread. Add in the tomatoes and arugula. toss to coat with a drizzle of olive oil and white balsamic vinegar. Serve immediately. 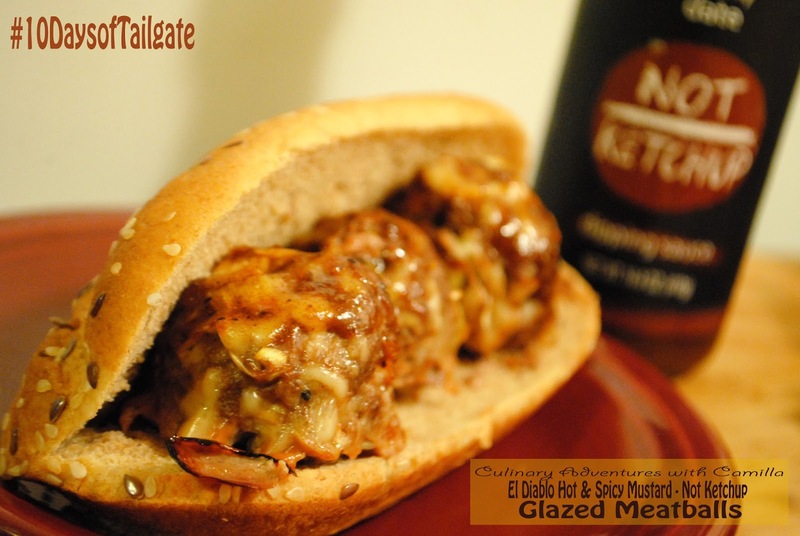 Thanks, again, Mr. Bar-B-Q*- just one of the #10DaysofTailgate sponsors - for items used in this recipe. 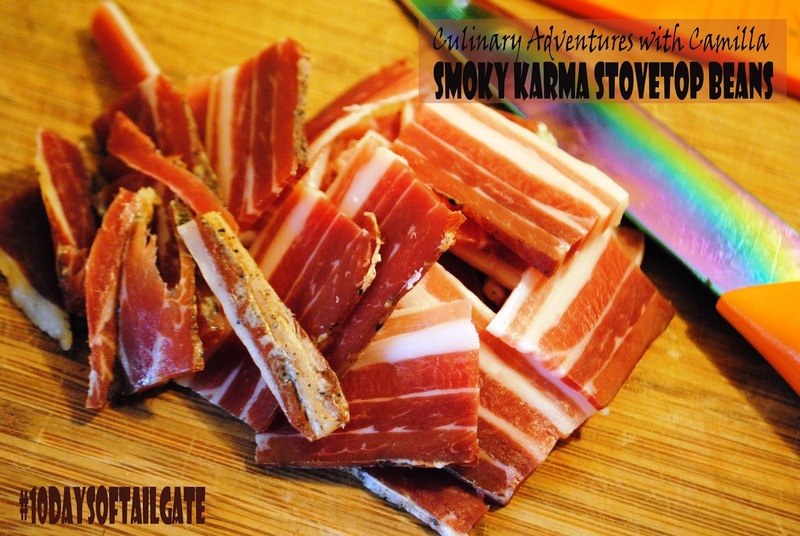 *Full Disclosure: I received 1 complimentary stainless steel mesh grilling skillet for participating in #10DaysofTailgate. Feel free to use whatever grill basket or skillet you have on-hand. All comments are 100 % accurate and 100% my own. Let meat come to room temperature. In the meantime, rub each lamb chop with 1/4 t lemongrass on each side and 1/4 T garlic on each side. Sprinkle with freshly ground salt, freshly ground pepper, and fresh parsley. Drizzle with sesame oil. Let meat stand while you heat the grill - at least 10 to 15 minutes. Grill till desired doneness. For lamb, that meant (for medium well) 165°F; USDA recommends 170 °F. Thanks to the Thermopop...it was easy to do! Let's be real: ThermoWorks sent me the ThermoPop for participating in this event, but it's not mine. As soon as I opened it, it was out of the box and secured in Jake's grill tools drawer. No joke. I had to dig it out, shove it back in the package to take a photo, and then put it back in his drawer. Thank you, ThermoWorks, my husband loves your ThermoPop. And thanks, too, for sponsoring this event. I have a full product review scheduled in October along with another - bonus! - giveaway. Dear readers, enter the giveaway (below) to see if you can win a ThermoPop of your own! 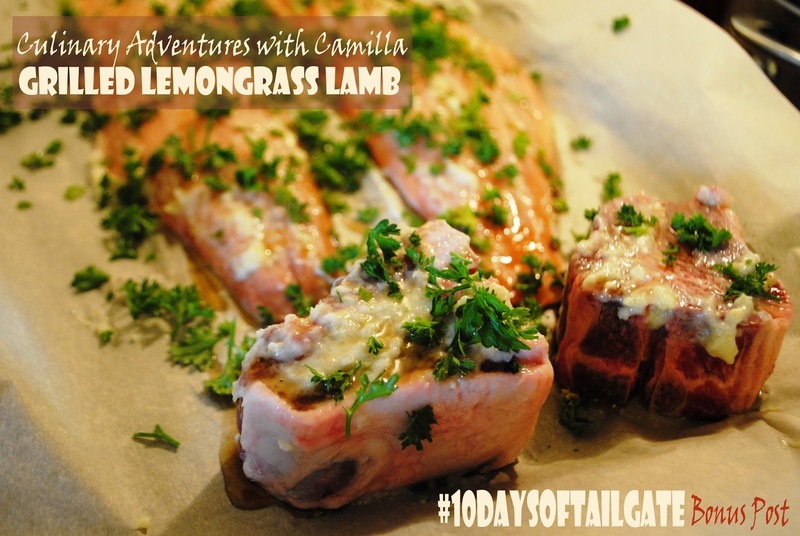 Thanks, again, ThermoWorks and Gourmet Garden Herbs & Spices*- just two of the #10DaysofTailgate sponsors - for ingredients used in this recipe. 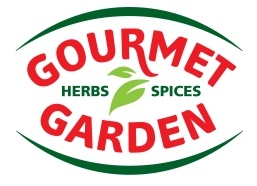 *Full Disclosure: I received 1 complimentary ThermoPop from ThermoWorks and 1 cooler full of herbs by Gourmet Garden Herbs & Spices for participating in #10DaysofTailgate. 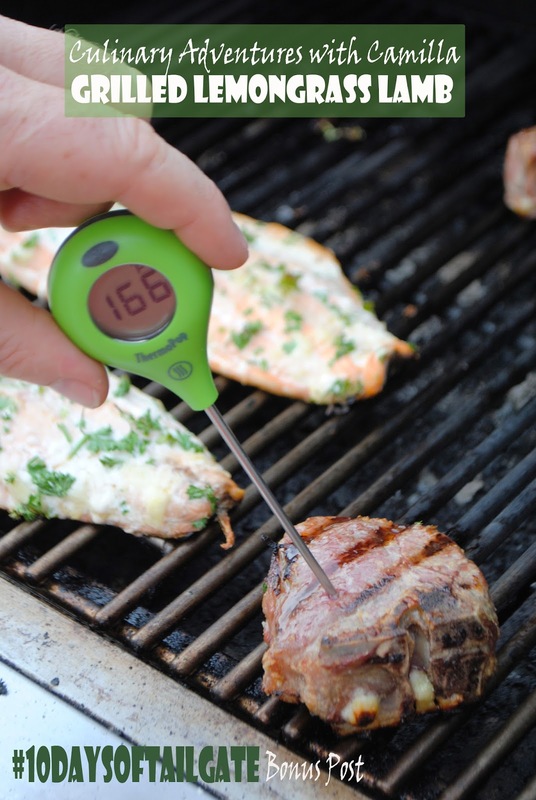 Feel free to use whatever thermometer and fresh herbs you have on-hand. All comments are 100 % accurate and 100% my own. 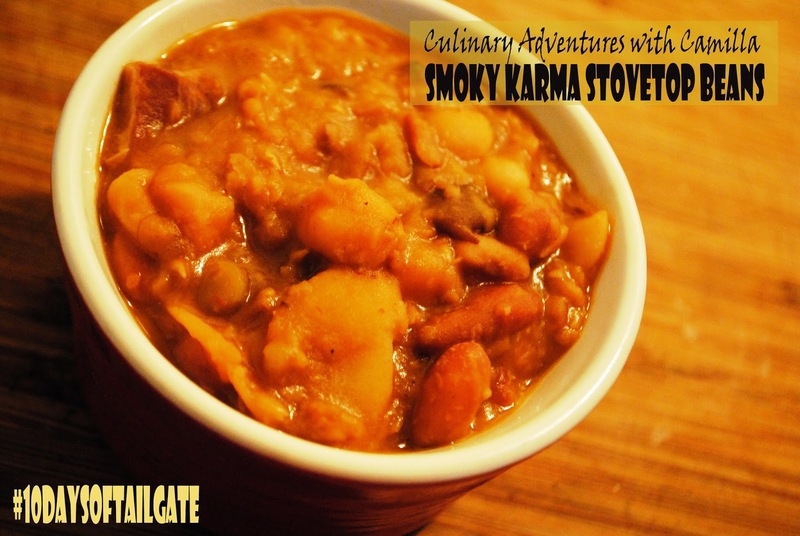 Thanks to a trio of sponsor deliciousness, I am bringing these Smoky Karma Stovetop Beans to our #10DaysofTailgate party. 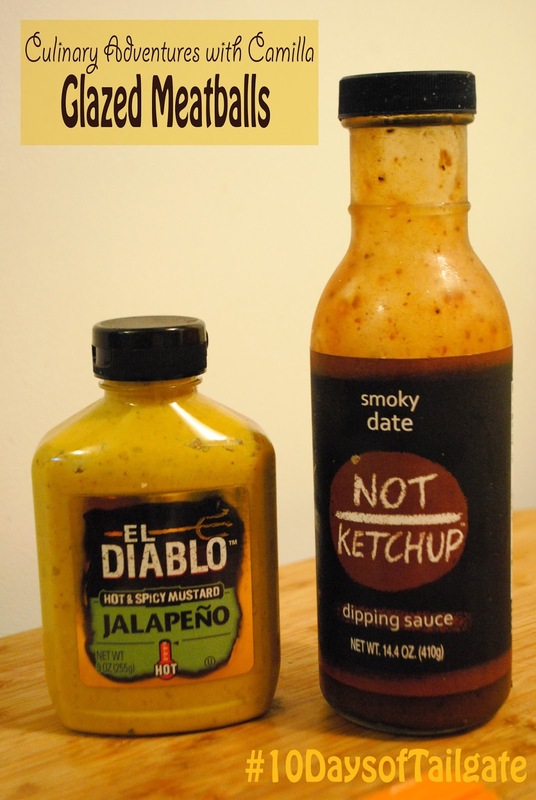 You can heap these onto to hot dogs or spoon them over nachos. We just ate them straight from a bowl. 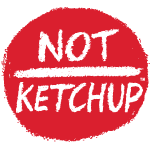 Thanks to event sponsors: Bob's Red Mill, Intensity Academy, and Not Ketchup* for the great ingredients to make this dish extra special. Place your dried beans in a pot and cover with, at least, 2" of water. Let soak overnight. Drain the beans and rinse them. 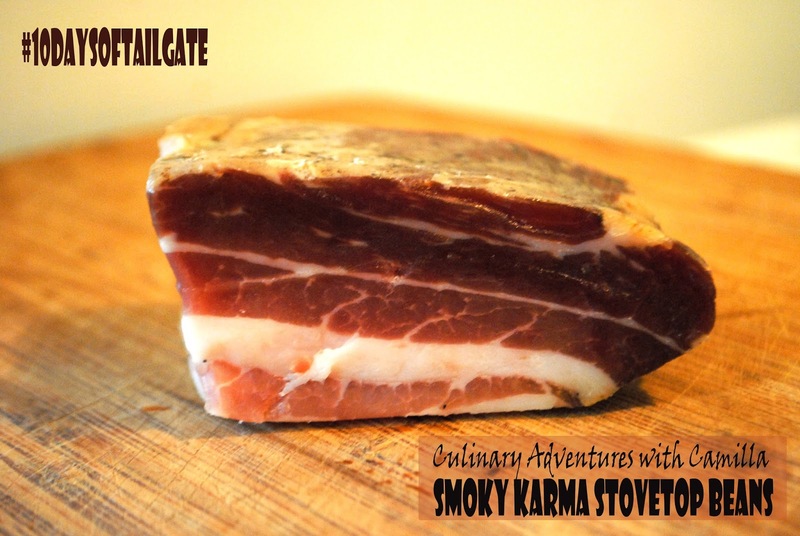 Slice your pancetta as thinly as you can. 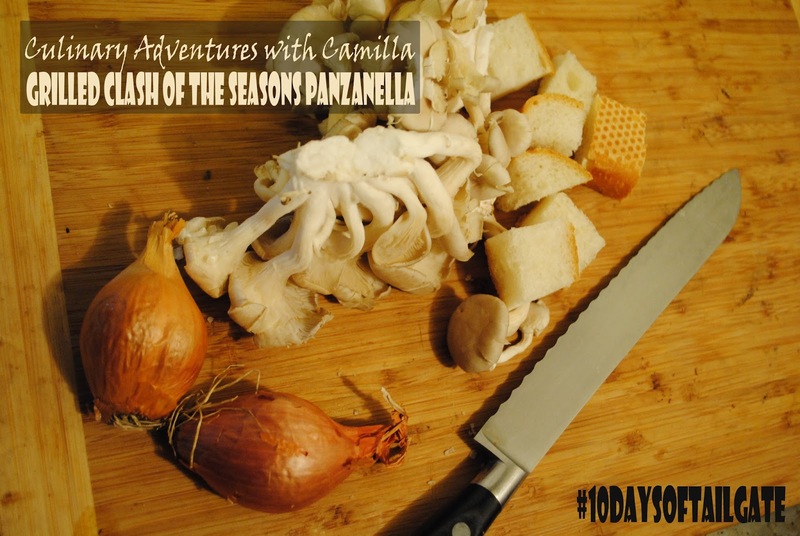 In a large souppot, saute your onions and pancetta slices until the onions are translucent and the pancetta is cooked but not crisped. Add the beans to the pot. Pour in the broth and bring to a boil. 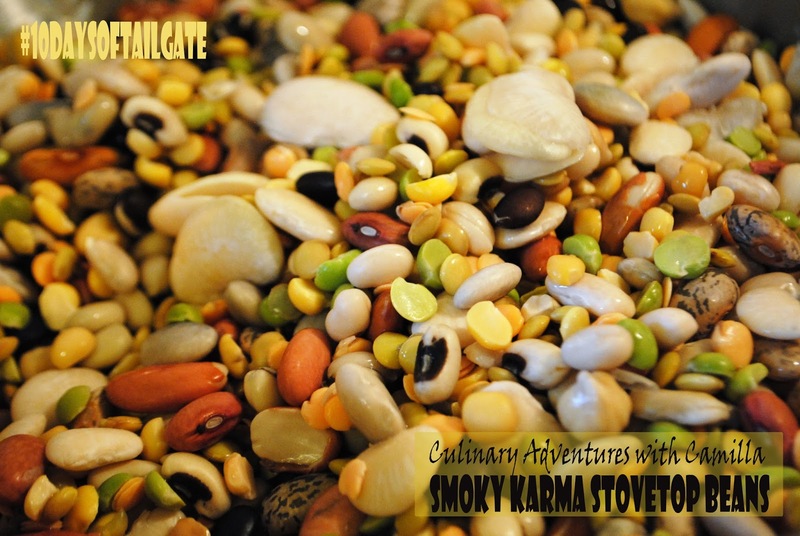 Reduce heat to a simmer and let cook for 60-90 minutes, until beans are just tender. Add boiling water to beans if they begin to dry out during cooking. Stir in the Not Ketchup, agave, vinegar, and Carrot Karma sauce. Simmer for another 30-40 minutes until thickened. Season to taste with salt and pepper. Serve hot. 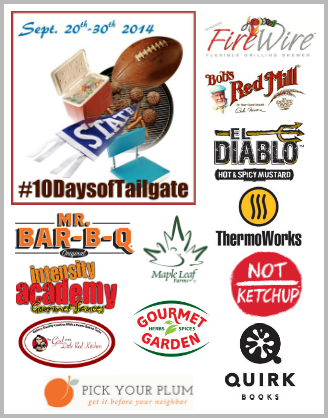 Thanks, again, Bob's Red Mill, Intensity Academy, and Not Ketchup*- just three of the #10DaysofTailgate sponsors - for ingredients used in this recipe. 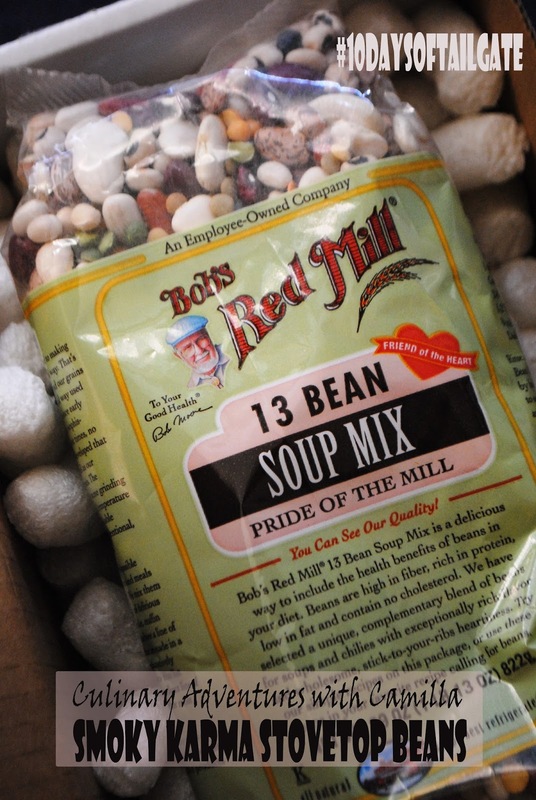 *Full Disclosure: I received 1 bag of 13 Bean Soup Mix from Bob's Red Mill, 1 complimentary bottle of Carrot Karma Hot Sauce by Intensity Academy, and 1 complimentary bottle of Smoky Date Not Ketchup Dipping Sauce for participating in #10DaysofTailgate. 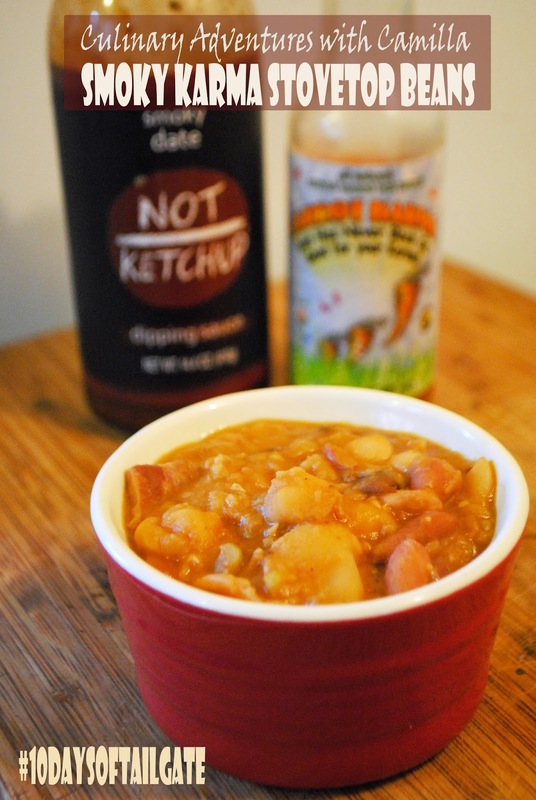 Feel free to use whatever beans, hot sauce, and ketchup you have on-hand. All comments are 100 % accurate and 100% my own. 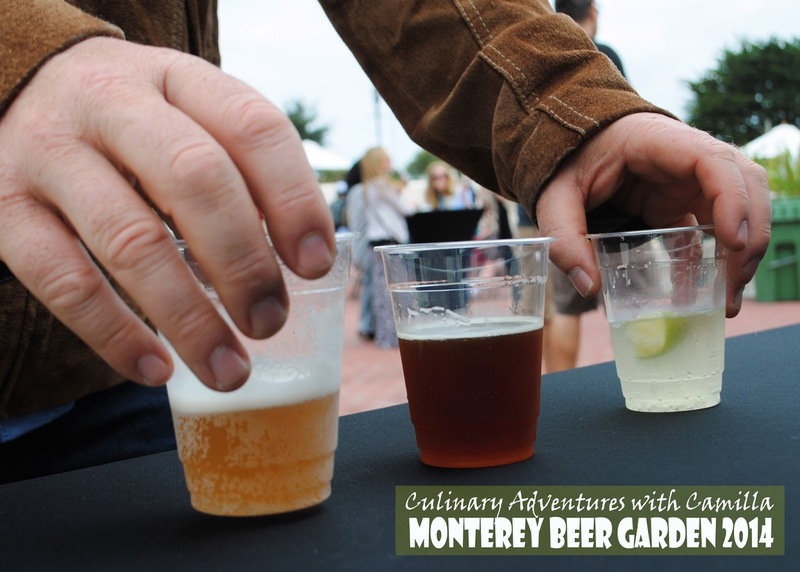 Having won the #peterbsbrewsandbitescontest with my Legend of Laguna IPA-braised Carnitas over Polenta Cakes, I received 2 tickets to the 2014 Monterey Beer Garden, a night at Portola Hotel & Spa, and a growlette from Peter B's Brewpub. And thanks to a tag-team effort by my parents and the Novaks, we were kid-free for the beer garden portion of the day. Ulla offered to keep the boys all night, but I knew that I would not be forgiven for staying at a hotel without them...when it's not a birthday or anniversary celebration. But we thoroughly enjoyed our kid-free date to drink beer! 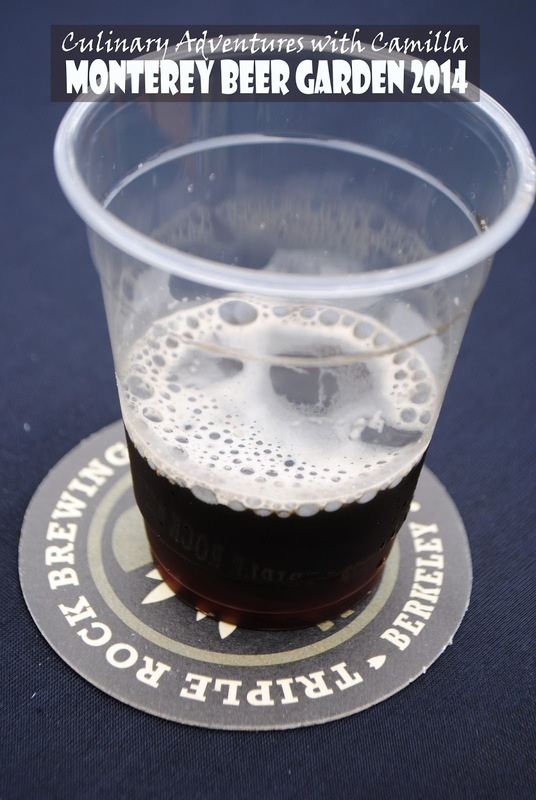 We've been to a couple of other beer festivals and I have to say that this was the nicest one we've attended. 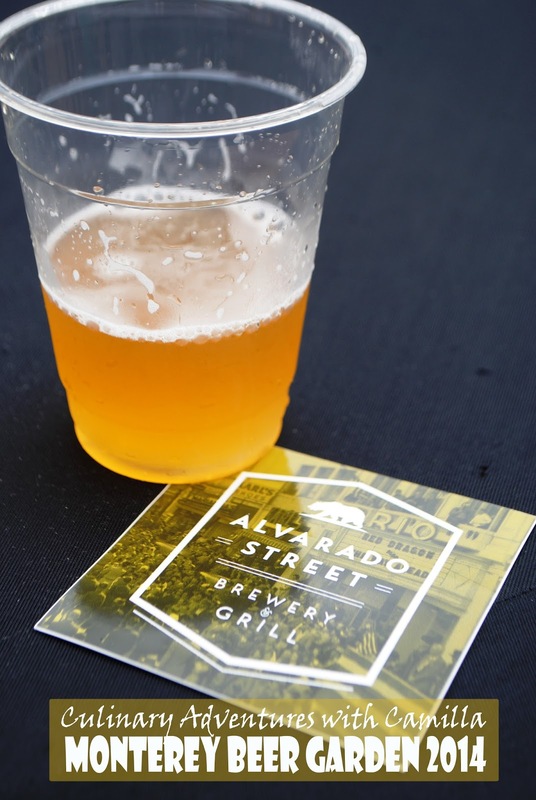 The two main reasons: (1) it features truly local (at least Bay Area-local) breweries and (2) the crowd is comprised of actual beer enthusiasts. 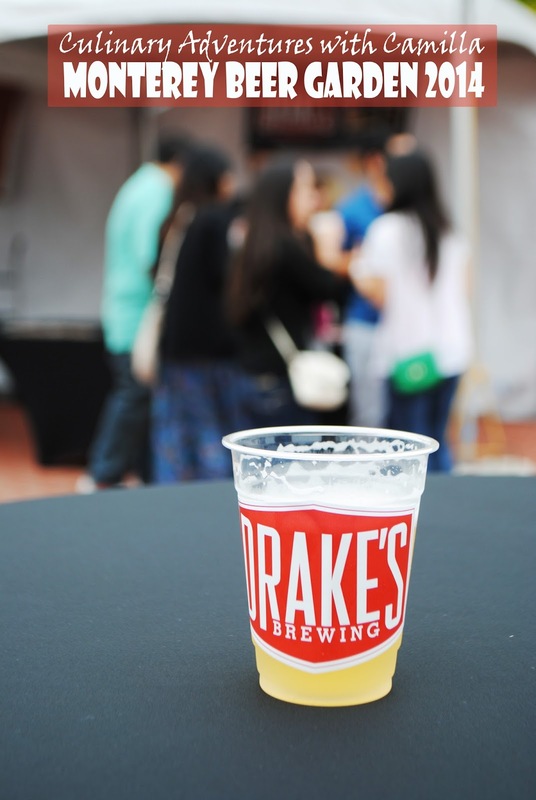 While people can drink as much beer as they desire within those four hours, I think attendees were there to really enjoy the beers and not just for the buzz! I was pleasantly surprised on both counts. 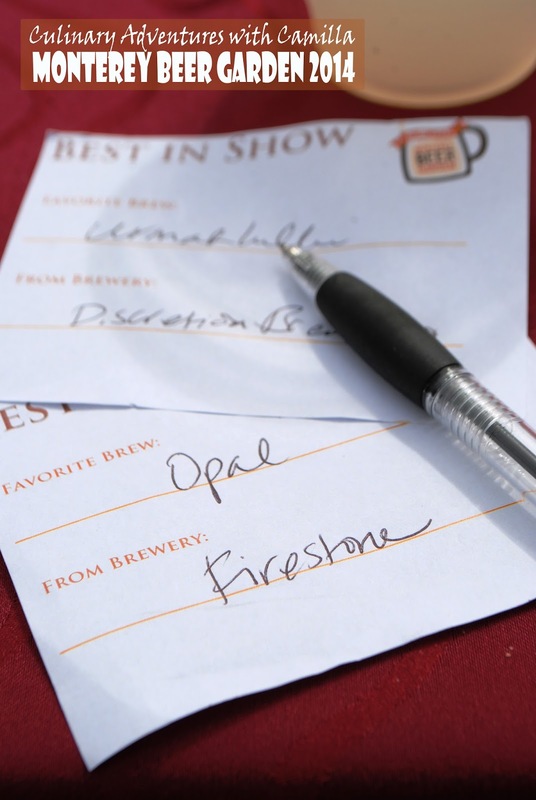 This beer actually got Jake's vote for 'best of show.' The urmahlullu is a mythological hybrid of lion and man. I asked. Urmahlullu, like its namesake, is also a hybrid - of ale and lager. Unfiltered and with only 3.6% abv, it's an easy drinking brew with a hint of coriander and some toasted malt. One oddity: after a hoppy beer, urmahlullu almost has a peanut-y taste. It was intriguing to say the least. 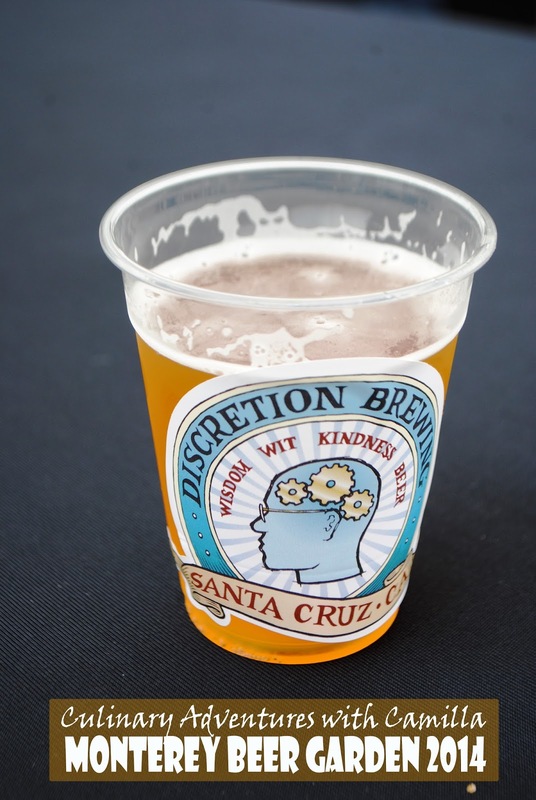 I've been enamored with saisons since I did my beer crawl with the Beer Geeks. 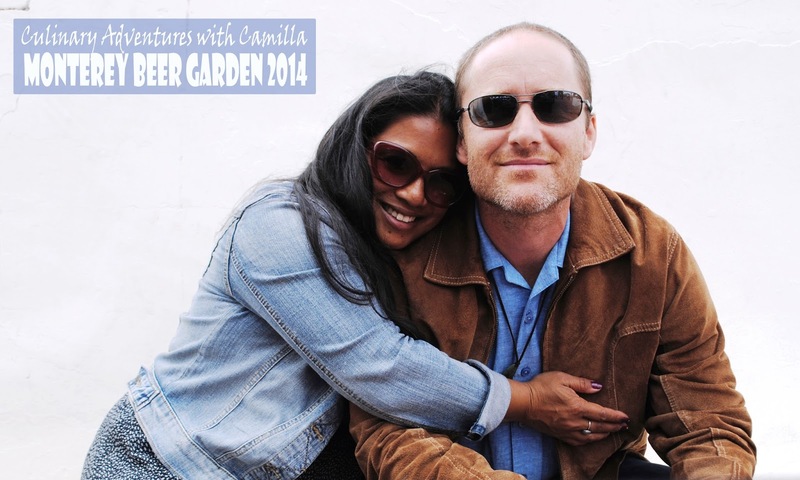 (Click to read Roadside Diaries: Beer People.) This one was, as expected, crisp, spicy, and refreshing. This is one of their standard ales and one I've tried many times before. It's a robust ale that light on the hops and heavy on the coffee notes. Brewer and owner J.C. was pouring. And he said that this was a collaboration with Peter B's Brewpub. Nice! Two local favorites. While I am normally not a huge IPA fan - I am going to devote an entire post to that! - this was beautifully balanced. It seemed light on the hops and heavy on the grapefruit. A tasty brew. I wasn't too surprised. The only other IPA I've ever liked was also a Peter B's creation. We tried some fruity brews. 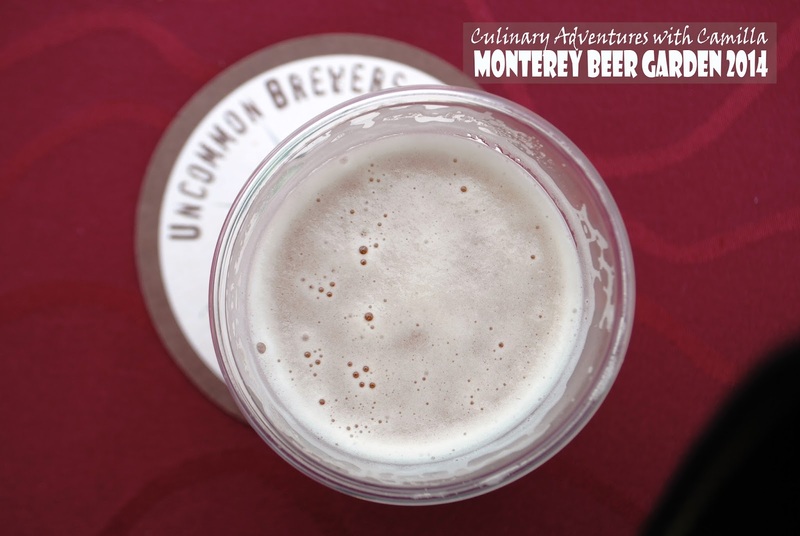 First up: Framboos by Uncommon Brewers, Santa Cruz. This is a crisp blonde ale brewed with fresh raspberries. It was incredibly aromatic and super delicious. This was an unusual trifecta from Boulder Creek Brewing, including their Ginger Beer and their Mango Sour. While I liked the ginger beer, I wished it had more ginger. It was a little too understated. Also, while the freshly squeezed lime was a nice touch, it made me feel that I wasn't tasting the beer itself. But beer that we actually finished - and went back for more - was the Mango Sour. This was the strangest taste sensation I've ever experienced in a beer. At first sip, like a sour should, it made your mouth pucker. As it leaves your mouth, you get a distinct, unbelievable flavor of - wait for it! - expensive charcuterie. Think fennel seeds and a slightly oily mouthfeel. Yes, it was completely weird, but oddly appealing. 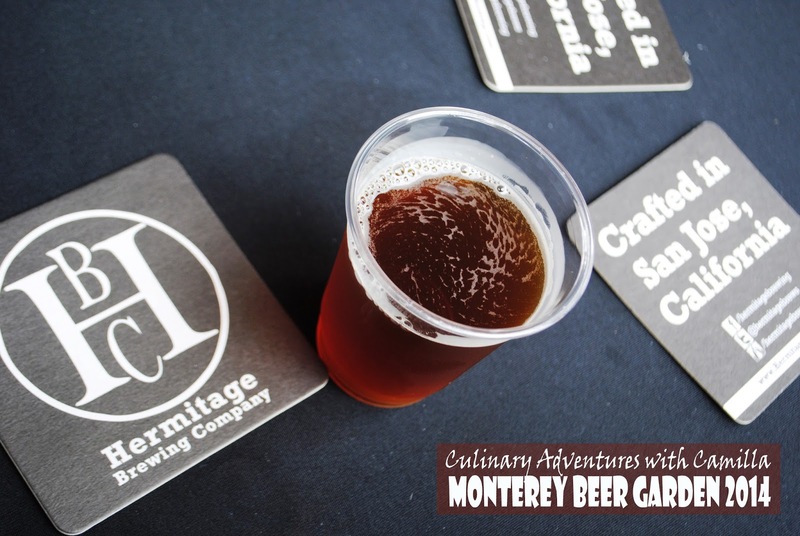 Hermitage Brewing Company, out of San Jose, brought their Fruit Crate Pumpkin Ale. It was not what I anticipated at all. When I drink pumpkin ale, I expect - and really want - those distinctive spices: clove, cinnamon, and more. This shockingly had none of that. While it was brewed with a gob of pumpkin, it was not what I want when I pick up a pumpkin ale. 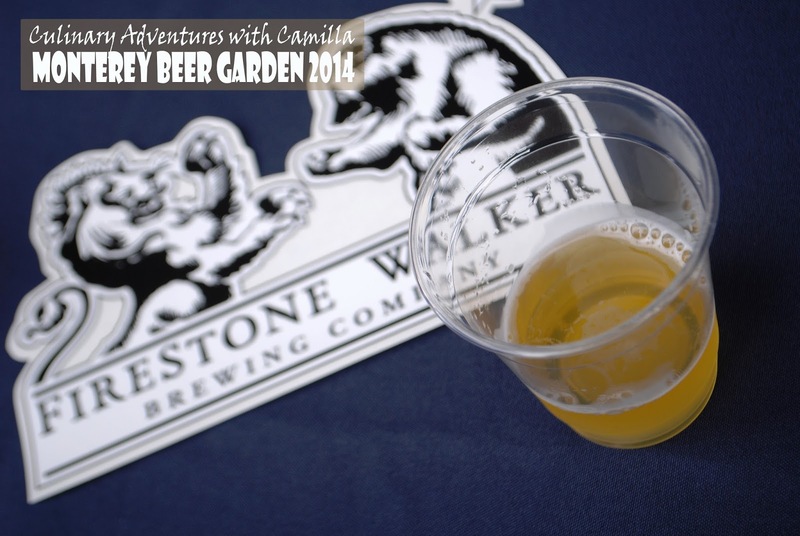 Last I want to shine the spotlight on Firestone Walker Brewing Company's Opal. Saving the best for last, so to speak. Did you try any good beers this weekend? A couple of years ago, we discovered 'mustard grilled' burgers on In'N'Out's secret menu. Not being in the In'N'Out's kitchen, I can only guess as to what they do with the mustard. But I guessed that it probably had to do with brushing the meat with mustard while it cooked. Whatever they do, it adds something amazing to an already good burger. 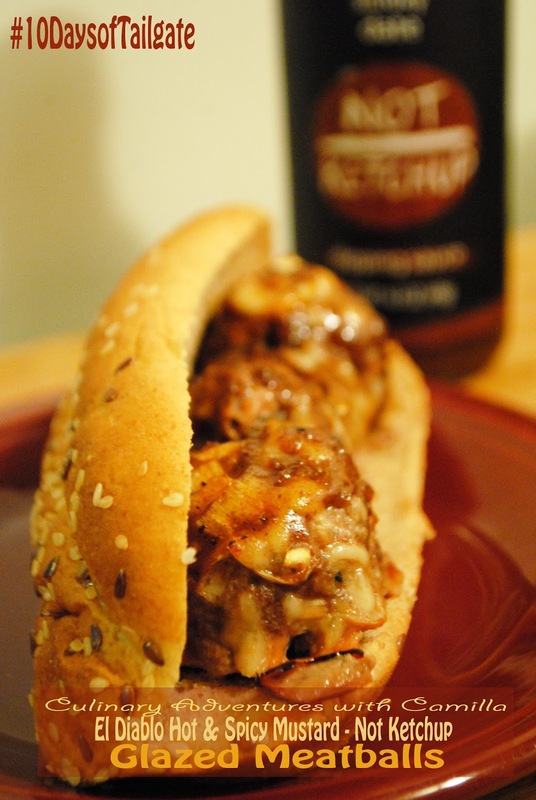 So, for today's #10DaysofTailgate post, I bring you: mustard and ketchup glazed meatballs. 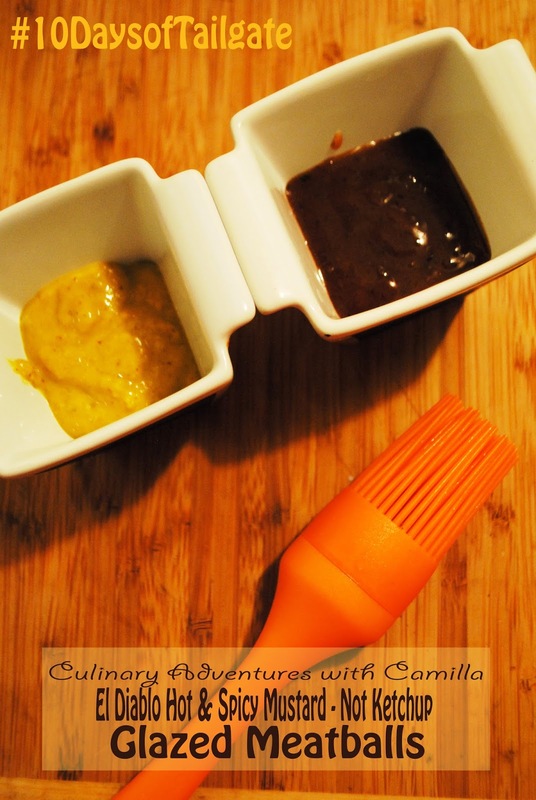 Jalapeño Mustard and Date Ketchup. Yep, these are fancy. Preheat the oven to 375°. 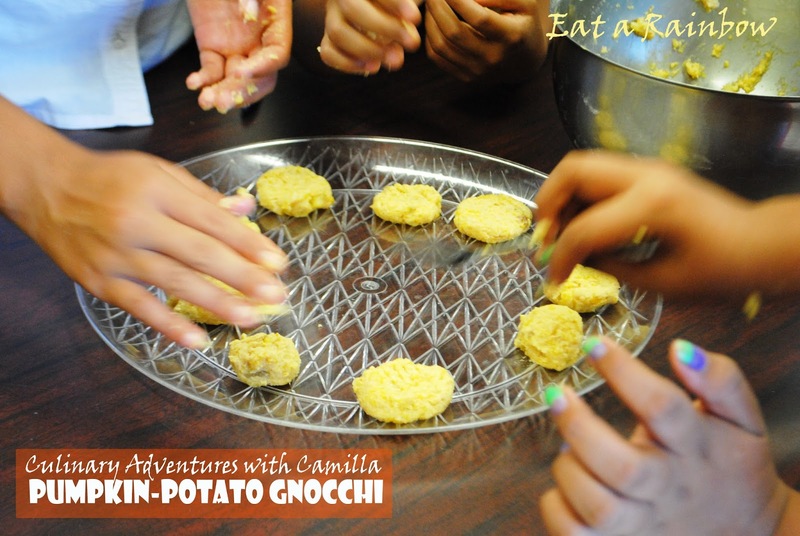 Combine all of the ingredients - except the buns - in a large mixing bowl. 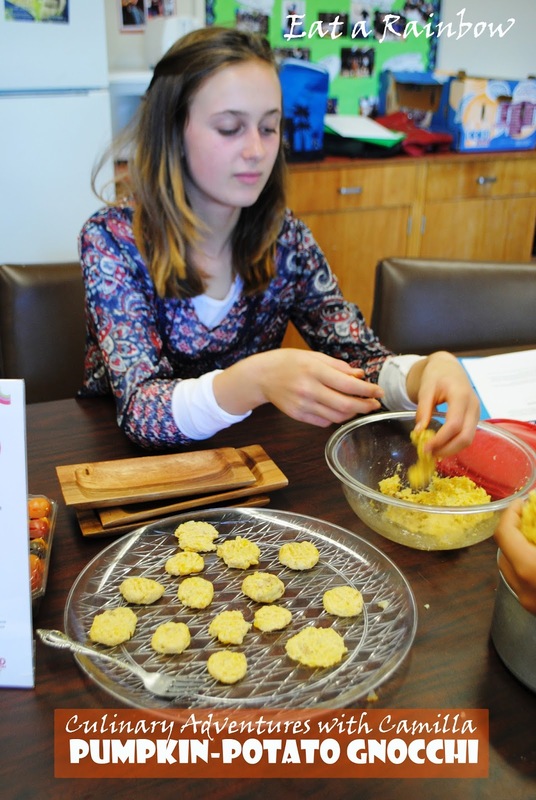 With moist hands, shape meat mixture into tablespoon-sized meatballs. Arrange meatballs in a single layer on a jelly-roll pan lined with parchment paper. Brush half of them with ketchup and the other half with mustard. 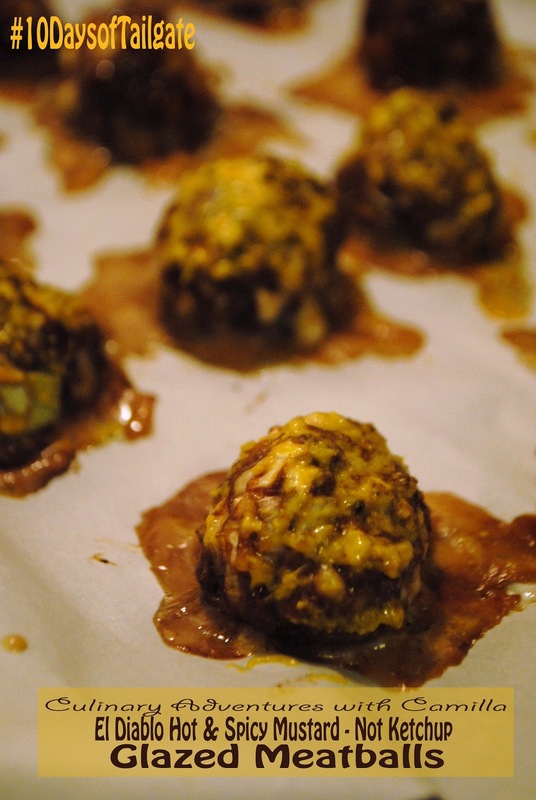 Bake meatballs at 375° for 35 minutes or until done. Brush on another layer of sauce and return them to the oven for 5 minutes. Serve on a bun for a main dish or with toothpicks for appetizers. Click to go to the sponsor information and to enter the gigantic giveaway. 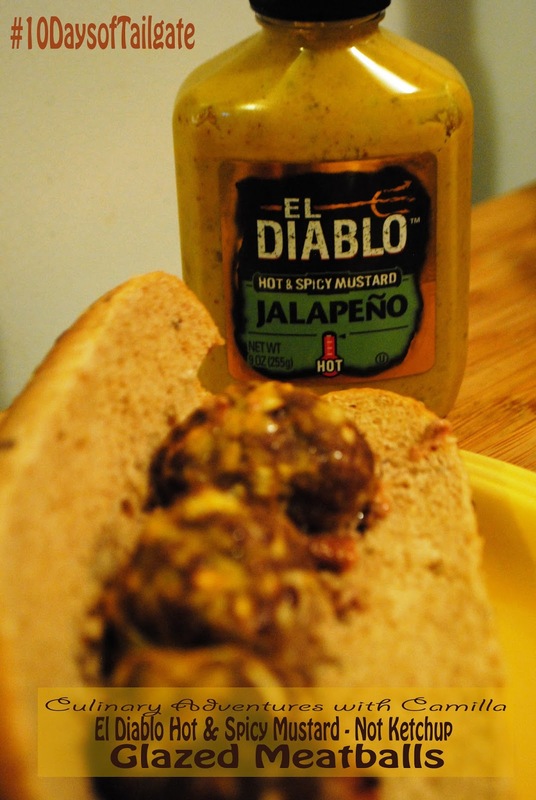 Thanks again Not Ketchup and El Diablo Hot & Spicy Mustard* - just two of the #10DaysofTailgate sponsors - for ingredients used in this recipe! 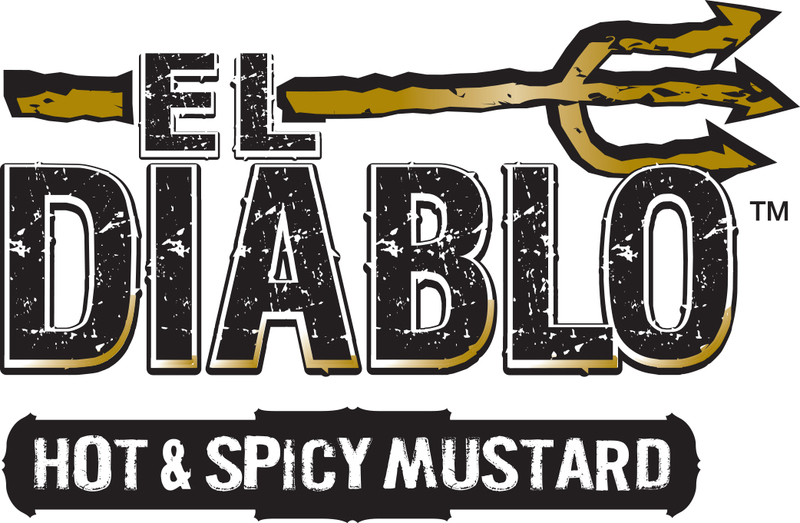 *I received one complimentary bottle of Not Ketchup and 6 complimentary bottles of El Diablo Hot & Spicy Mustard for participating for participating in #10DaysofTailgate. But all opinions expressed are 100% accurate and 100% my own. 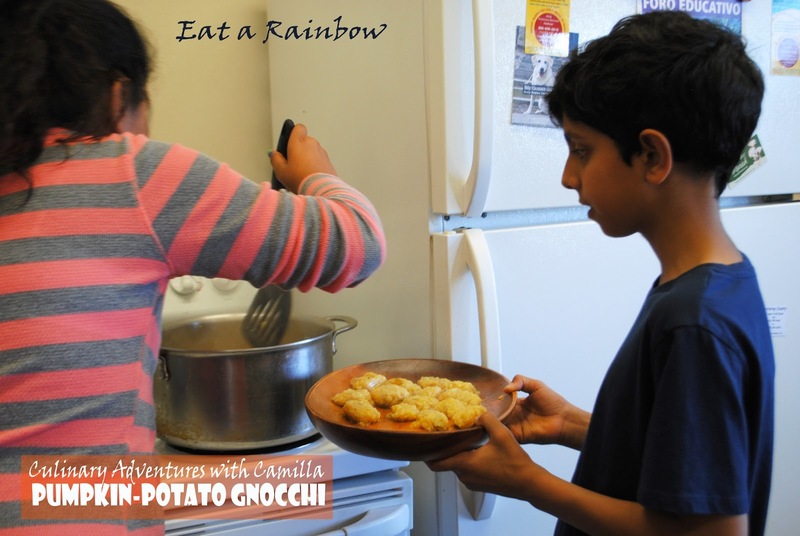 It's always a challenge to pick a recipe that can be done by a dozen kids - start to finish - in just less than 90 minutes. And, this time around, I have one vegan. But as one of my students, who happens to be a good family friend, rightly commented: "Without challenges, teaching this class would be too easy for you." Okay. I have to embrace that sentiment. It's pumpkin season! 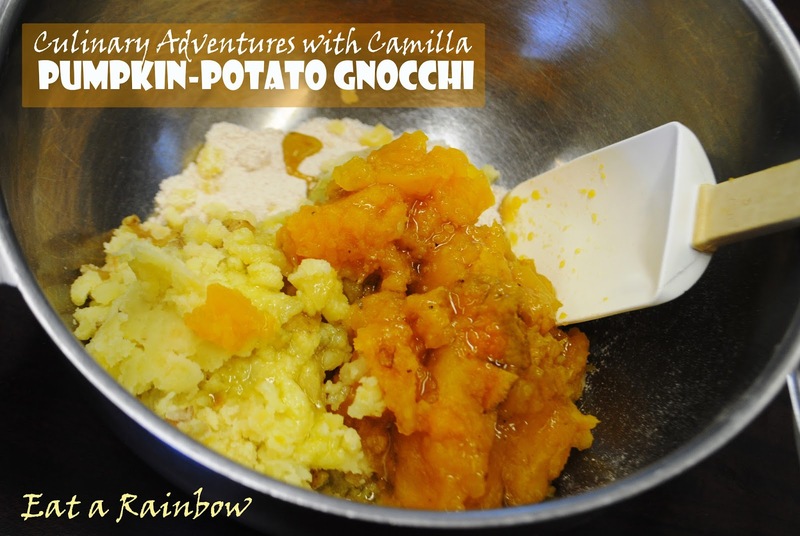 So during this 'Orange' week of our 'Eat a Rainbow' class, I knew that we had to make something with pumpkin. 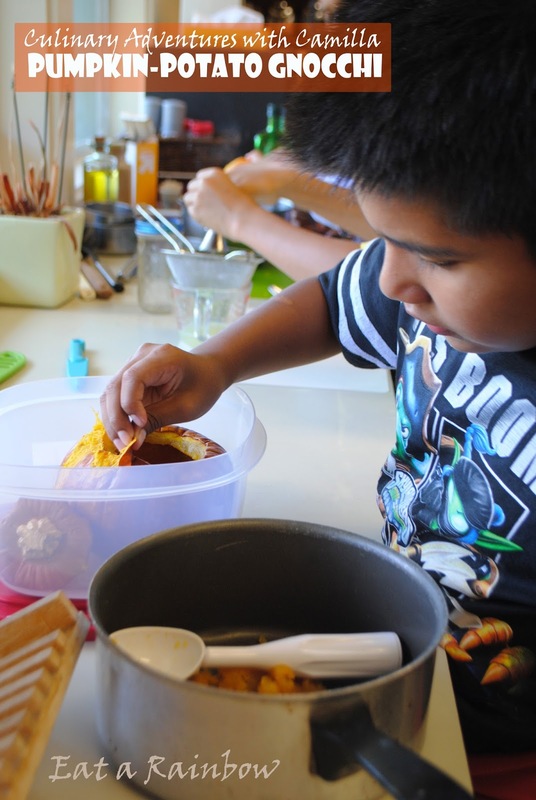 First up: make pumpkin puree. 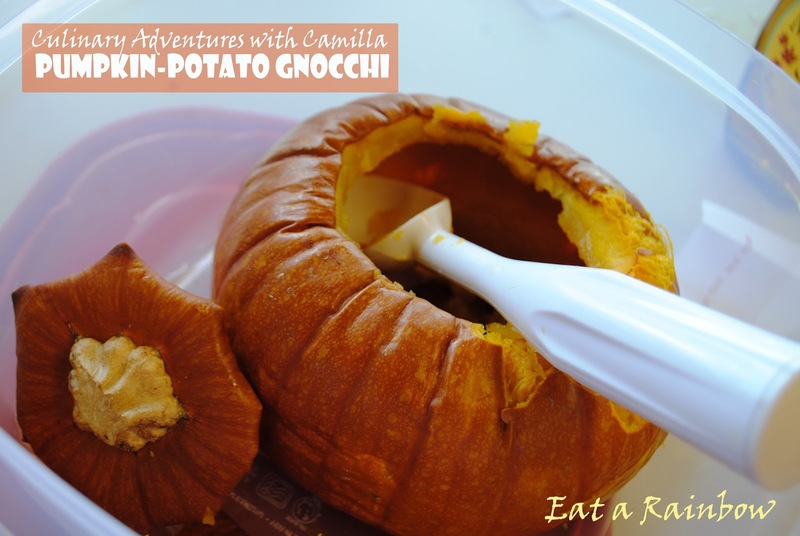 Click to see how to make pumpkin puree. 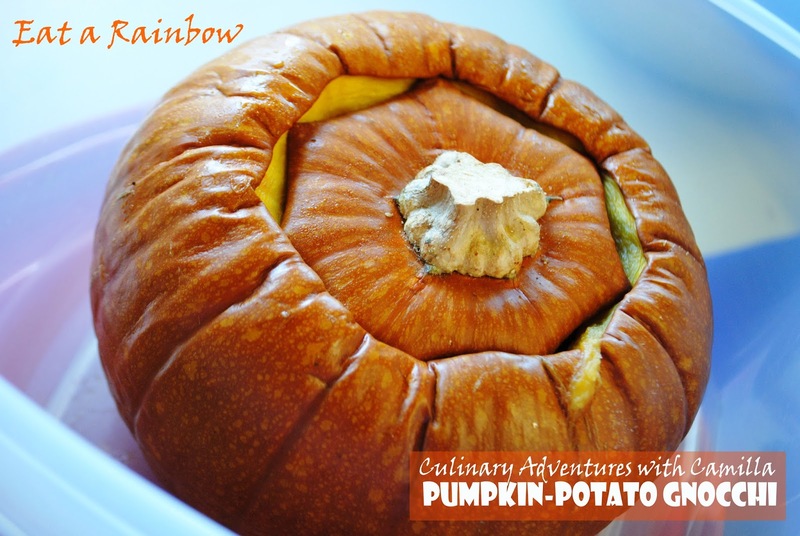 For my 'Eat a Rainbow' class, I roasted the pumpkins night before and let them cool completely. 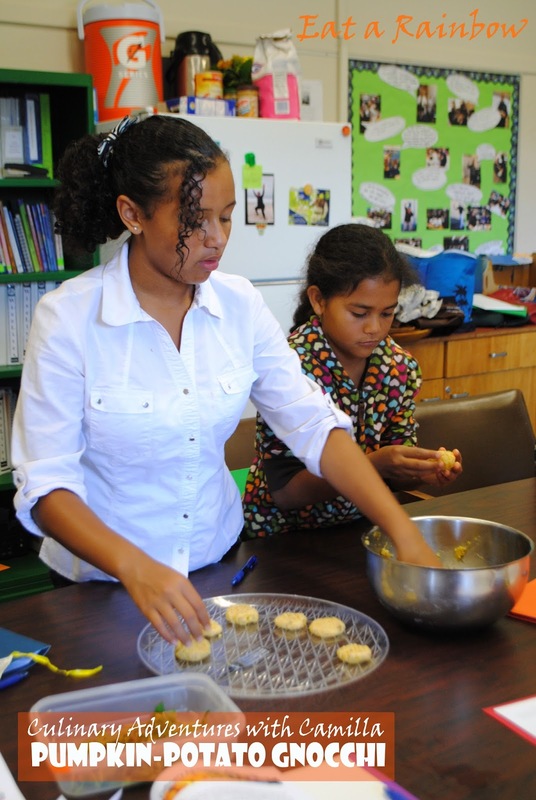 Then, the kids scooped and mashed the pumpkin flesh to get about 2 cups of pumpkin puree. 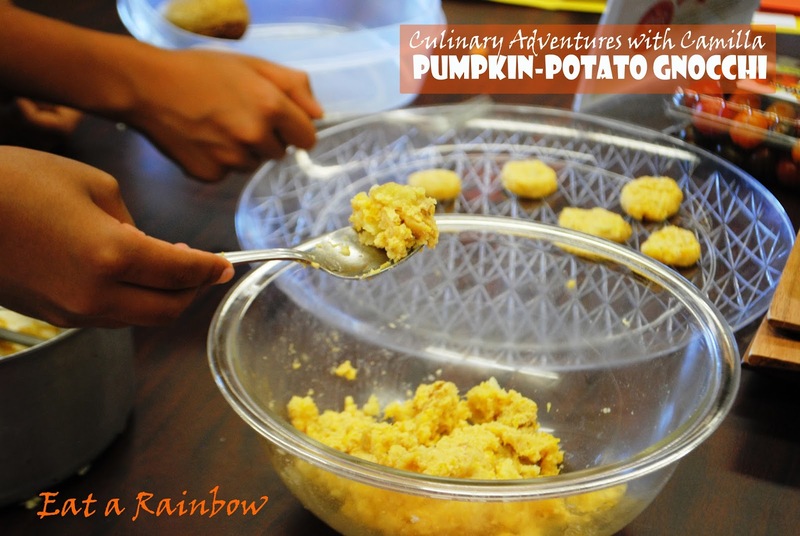 In a large mixing bowl, blend pumpkin puree and mashed potatoes. Add the olive oil and mash till smooth. Mix in the flour, slowly, until you get a medium - not stuff, but not sticky either - dough. It took us about 3/4 C by the time we were finished. 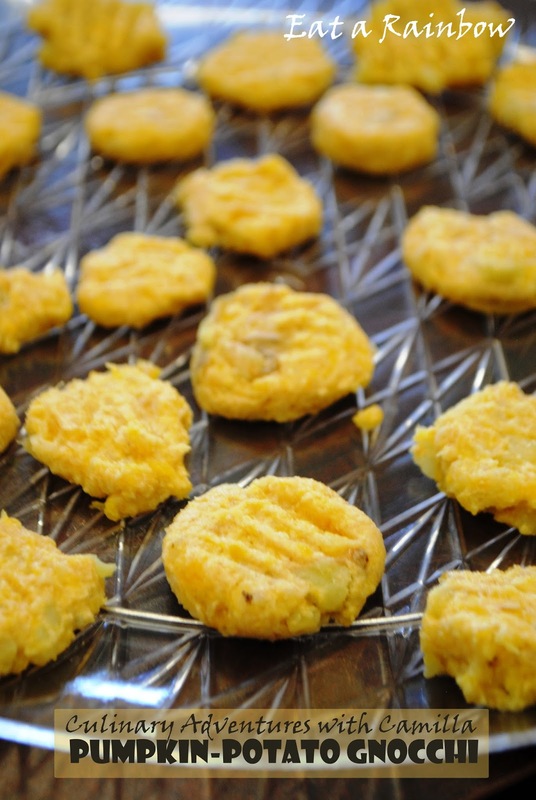 Using about 1/2 teaspoon of dough, form a ball and flatten it slightly with fork tines. Bring vegetable stock and water to a boil in a large souppot. 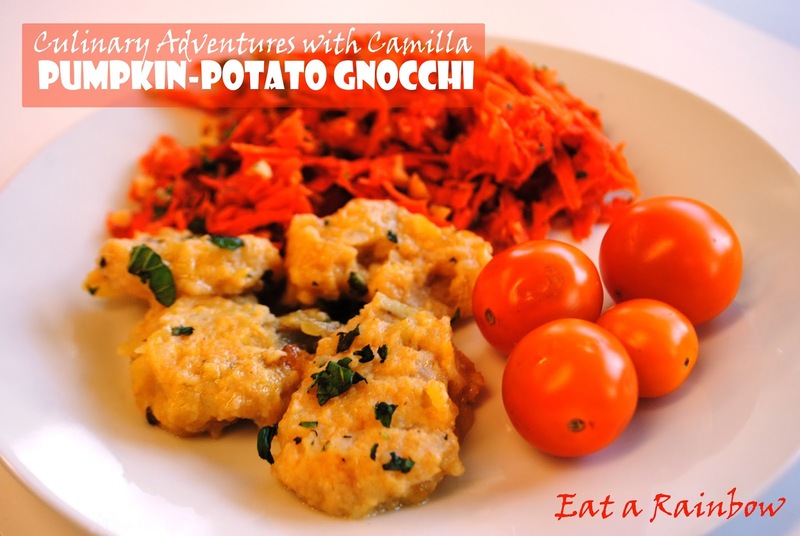 Gently drop the gnocchi into the pot. They will float when they are cooked. Because this is a fresh pasta, they cook very quickly - maybe a minute or two. 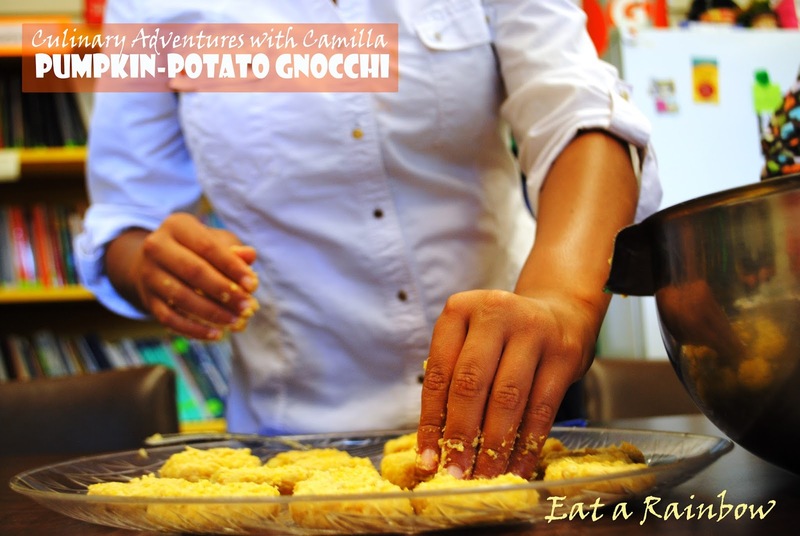 Remove the gnocchi with a slotted spoon. To serve, sprinkle with salt, drizzle with olive oil and vinegar, and top with fresh herbs. Pronto al tavolo!